HIV-associated lipodystrophy is a syndrome that are found in human immune-deficiency virus (HIV)-infected patients who are being administered with active antiretroviral medications for the treatment of HIV infection. Patients have lipohypertrophy, an abnormal central fat accumulation or lipoatrophy, localized loss of fat tissue, or a mixed clinical presentations representing both. The complex morphological signs associated with lipodystrophy syndrome inhibits our understanding of the etiology of the disease, and offers significant challenges to clinicians and researchers finding its cure. In addition, the marked difficulty in diagnosing the syndrome is attributed to the subjectivity of symptoms shown making the confirmation difficult through the usual anthropometric measurements and radiological examination. A concurrent evaluation of multiple parameters is necessary in diagnosing the occurrence of HIV-associated lipodystrophy. Key parameters include clinical, biological, radiological, and demographic. The risk factors associated with the disease is high for patients with age over 40 years and among females. Furthermore, patients with advanced stage of HIV infection are more prone to developing lipodystrophy. The type of antiretroviral therapy administered and the duration of treatments are the key factors governing the development of HIV-associated lipodystrophy. The introduction of nucleoside reverse transcriptase inhibitor (NRTI) and protease inhibitors (PIs) have independent influence on the development of the symptoms. Currently, there is paucity of effective curative treatments for various morphological changes induced by HIV-associated lipodystrophy and an absence of evidence-based strategies in combating the diseases. Prominent treatment modality including recommending adequate exercise including various a cardiovascular training and strengthening exercise, better nutrition, and minimizing drug exposure. Numerous specific drugs and cosmetic treatments are in the market having varying degrees of success. Efforts to reduce the incidence and prevalence rate of the diseases must focus on developing objective parameters in identifying morphological changes. Innovations in antiretroviral treatment show great promise for companies engaged in finding the cure for the disease. Human Immuno-deficiency Virus (HIV) presents itself as a complex mix of symptoms, which are related to severe immune compromise. Lipodystrophy is a condition, commonly associated with HIV patients globally, wherein there is a considerable loss of subcutaneous fat through the body. The increasing prevalence of lipodystrophy is the foremost factor driving the global market for HIV associated lipodystrophy syndrome. Continuous clinical advancements are providing a significant boost to the growth of the market. This research report provides a comprehensive overview of the current and foreseeable scenario of the global HIV associated lipodystrophy syndrome market. It offers insights into the data pertaining to the clinical trials on HIV associated lipodystrophy syndrome. Primary and secondary research have come into play while collating this study. The information provided in the report has been taken from various paid and unpaid sources including journals, presentations, and white papers. 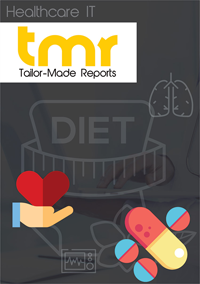 The report presents a detailed description of the dynamics and competitive landscape of the global HIV associated lipodystrophy syndrome market. At present, the most widely adopted treatment involves dietary modifications and symptomatic relief of conditions presented. Despite the high effectivity of therapeutic treatment, its adoption is limited by its high cost. Moreover, it demands constant supply of energy compounds (sugar/fat) for patients to maintain a standard daily requirement which is difficult for patients with low income. It is estimated that the majority of the HIV infected population is living in poor countries, particularly the sub-Saharan Africa region. The low affordability of drugs in such regions is prompting healthcare companies worldwide to provide low-cost drugs so that they can introduce their products to generic competition. Moreover, with the entry of Asian players the prices are bound to decline, thereby driving the adoption of therapeutics for HIV associated lipodystrophy syndrome. The key regions methodically examined in the report are North America, Asia Pacific, Europe, and Rest of the World. North America and Europe are likely to represent a substantial combined share in the market throughout the forecast period. The high affordability of drugs in these regions are working in favor of the growth of the market. The improving healthcare infrastructure and rapidly growing population are making Asia Pacific a potentially large market. On the other hand, the unavailability of affordable drugs is restricting the market in this region from realizing its utmost potential. The Rest of the World region is anticipated to follow a similar growth pattern as Asia Pacific. The majority of the prominent players in the global HIV associated lipodystrophy syndrome are pouring funds into the research and development of effective therapeutics in order to stay relevant in the market. Some of the key players in the market are Gilead Sciences Inc., Amgen Inc., Abbott Laboratories, AstraZeneca Plc., AbbVie Inc., GlaxoSmithKline Plc., Alfa Wassermann S.P.A, Amylin Pharmaceuticals Inc., Theratechnologies Inc., and Bristol-Myers Squibb Company.